Now there is a PAW Patrol Skye placemat for everyone that likes to keep the table clean while eating while looking amazing. The placemat shows Skye running on the beach in her pink outfit and she looks really happy. The PAW Patrol placemat is 12 x 18 inches and has rounded corners and when you spill some food on it then just a damp cloth will easily clean it. And yes this Skye placemat is great for kids and adults and besides food, you can use it to do your art on too. Time to decorate the table in style with a cool placemat like this that is just perfect for all the PAW Patrol fans. Now there is a PAW Patrol toy set for kids that love Marshall, Chase, and Skye. This is a car set with 3 vehicles with their PAW Patrol puppy inside it. So you will find them all ready to race to the rescue and ready to be part of a new adventure. And because there are 3 cars in the set you child is going to be able to play even more cool stories. Chase in his police car is ready and so are Skye and Marshall to play for hours on end just to make your child really happy. 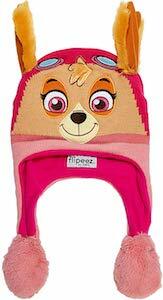 Now your little girl can be Skye from PAW Patrol this Halloween as we got the costume that makes that happen. This costume is great for Halloween or just PAW Patrol play time at home. 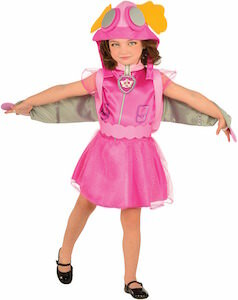 The costume includes a dress, hat, and a backpack and yes it does have wings just like Skye has in her puppy pack. You can get this PAW Patrol costume in toddler and little kids sizes and I am sure that your child is going to be so happy when you surprise her with this Skye costume. This PAW Patrol edible cake topper image is what you need to transform your cake into a true PAW Patrol birthday cake. You can use your own baked cake or a store bought blank cake and just put the image on the icing and your cake became a PAW Patrol cake. 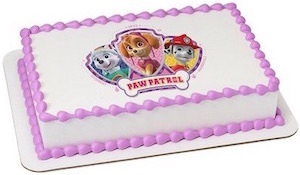 The cake topper image shows 3 dogs and below it a bone that says “PAW Patrol” on it. And the puppies on the cake image are Everest, Skye, and Marshall. I am sure anyone at your party is going to love the cake and I think everyone would like to bite into one of these puppies. 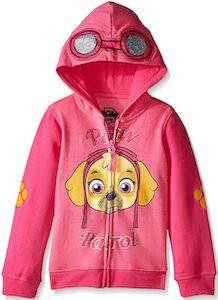 Your little girls is gone love you even more when you surprise her with this pink PAW Patrol t-shirt. This kids t-shirt is made from 100% cotton and is available in sizes 4 – 6x. 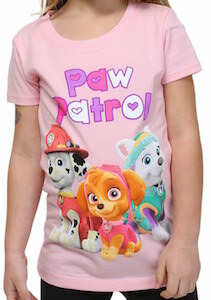 On this pink t-shirt you can see the words “PAW Patrol” with hearts in it and below that you find 3 sweet dogs posing. You can see Skye in the middle with Marshall and Everest on the sides and they all look so happy that your child got this t-shirt as they are all smiling. Every kid loves puppies and having them on their t-shirt makes their lives so much better. 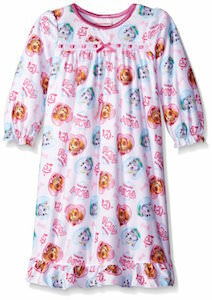 If your little girl love PAW Patrol then this nightgown would be perfect for her. 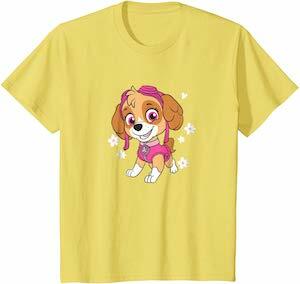 The nightgown is white but is covered in images of Skye and Everest and besides the two pups there is also the PAW Patrol logo in pink and light blue and some more doggy things like bones and such. You can get this PAW Patrol nightgown in toddler sizes T2, T3 and T4 and it’s made from 100% polyester and it’s flame resistant and extra soft. Just imagine the smile on your little girls face when she sees this fun nightgown of her favorite show PAW Patrol. If you love those very cute puppies from the Nickelodeon show PAW Patrol then now you can take them on all your adventure with this really cool backpack that is perfect for school, books, toys, trips and more. 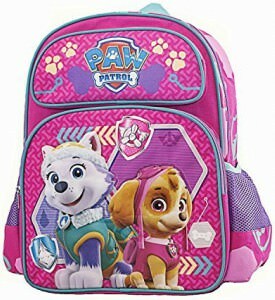 This backpack is mainly pink in color and features the PAW patrol characters of the white dog Everest and the smaller brown dog of Sky, both sitting and waiting to spring into action. Made to be very durable and is considered a large backpack that measures 16 inches and features five compartments. Two separate front zipper pockets, two heavy duty side mesh pockets and a large main compartment, all zippers are upgraded zippers to take that wear and tear.